The BMW 630d Gran Turismo will be locally produced and joins the petrol version that is already on sale. 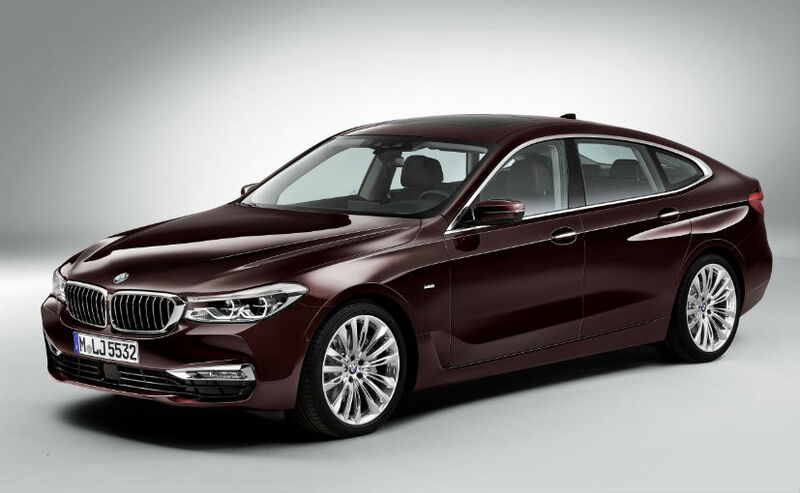 BMW India has launched the 6 Series Gran Turismo with a new diesel engine variant and it's available in 2 trims Luxury Line and M-Sport. The Luxury Line is priced at ₹ 66.50 lakh while the M-Sport costs 73.70 lakh (both prices ex-showroom India). The BMW 6 GT is now available now in both petrol and diesel options and will be available at all BMW dealerships across the country from today. The BMW 630d Gran Turismo will be locally produced and will be made available in Mineral White, Glacier Silver, Mediterranean Blue and Royal Burgundy Red. The exclusive metallic paintworks for the M Sport range include Carbon Black and Bluestone. The Luxury Line uses extensive chrome styling in the BMW kidney grille, front bumper, rear apron and tailpipe while the M Sport brings out the sporty character and powerful presence through M Aerodynamics package, which comprises items such as black fins for air breathers, a special design for side skirts and rear apron, large front air intakes and M Sport Brake. Exclusive 'M' designations on the side, 'M' door sill finishers, car key with 'M' logo and 'M' light alloy wheels reminisce the motorsport legacy of BMW. The 6 GT Luxury Line comes with a two-part panorama glass roof, electrically operated adjustable rear seats with comfort cushions for headrest and electrically operated sunblinds for rear side windows. There's also ambient lighting with six selectable light designs and fine wood interior trim with highlight trim finisher pearl chrome. The M Sport uses exclusive 'Nappa' Leather upholstery in contrast stitching that imbues the interior with a sporty personality. Comfort Seats for driver and front passenger ensure a relaxed drive thanks to electrical-adjustment, memory-function and enhanced thigh-support. The 630d M Sport comes standard with soft close function as well. Mr. Vikram Pawah, President, BMW Group India said, "With the launch of the first-ever BMW 6 Series Gran Turismo, we created a new segment in the Indian luxury car market. The first-ever BMW 6 Series Gran Turismo immediately stands out from the crowd due to its striking presence and alluring coupe style. With the trademark BMW driving pleasure and long-distance comfort, it creates an unrivalled experience for both the driver and passengers. 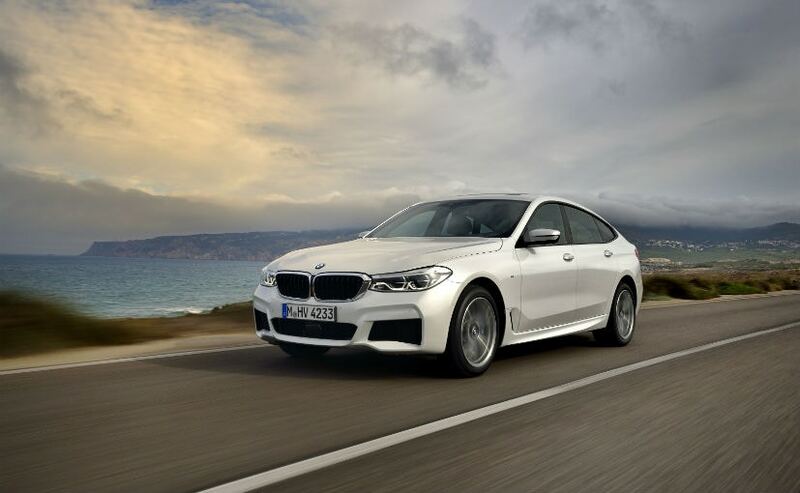 The success of the first-ever BMW 6 Series Gran Turismo will now be taken forward as we present it in a new diesel variant, broadening the range of choices for our discerning customers." The BMW 630d Gran Turismo comes packed with technology as well like remote control parking function, a driver can maneuver the vehicle into a narrow parking space from outside using the BMW Display Key. Besides other vehicle related information, the smart key also displays service reminders, cabin temperature, mileage range and fuel level. All acceleration and braking actions are monitored and controlled by the Park Distance Control (PDC), the Parking Assistant with Surround View camera, while the engine can be started and switched off by remote control. Surround View shows a bird's-eye view of the car as well as a three-dimensional image of the traffic situation. Any obstacles or other road users that suddenly appear can be spotted earlier in this way. The smartphone holder integrated into the centre console allows inductive Wireless Charging for mobile phones and the BMW Display key.